TRIPS: Free things to do in Sacramento, CA - C.R.A.F.T. Note: Happy 4th of July, friends! I hope y’all have a wonderful holiday! Andy and I are road trippin’ it to Ohio to visit his mom and both sets of grandparents! (I’m posting lots of pics on instagram, if you’re interested!) I’m excited to spend 4th of July exploring my wonderful country! I’ll be utilizing these free trips posts: Dayton, OH, Memphis, TN, Nashville, TN, and Fayettville, AR! Hi C.R.A.F.T. readers! I’m Kelley from Eight by Five (that’s eight kids and counting by five Mama’s) and am super thrilled to be guest posting today. And it’s perfect since the Fourth of July is upon us and I’m coming to you from California’s State Capitol, Sacramento. Rancho Cordova houses a fabulous hands-on museum for kids. They even have a baby play area for those under 2. We went on free museum day (normally during February) so it didn’t cost a thing. Normally you can get your kid in for $7 and they can play all day in the water area, garden, painting room and more. The 32-mile bike trail, which runs from Old Sacramento to Folsom Lake, is a great place to explore. One spot we like to catch the trail is at William B. Pond Recreation Area, also known as Mile 13.5. This section of the parkway is a popular starting point for runners, cyclists, picnickers, and fishermen. Take Arden Way east until it dead-ends to get there. Right in the middle of a cool, Sacramento neighborhood called Land Park is a fabulous place for kids to play. The entrance into Fairytale Town is a brick bridge with humpty dumpty sitting up top where the little ones can run through and the parents have to duck under. Children under 2 are free and I’ve been taking my daughter since she could walk. On the weekdays it’s only $4 for those over 2. There are larger slides for the bigger kids and smaller areas for the little ones. They also let you bring in your own picnic. Parking can be tough so get there early and find a spot along the sprawling park. Board the Delta King (an old paddle boat on the river), browse old antique shops and walk along the cobblestone streets. This is a popular tourist destination right along the Sacramento River. There is a train museum (remember free museum day! ), the Rocky Mountain Chocolate Factory for caramel apples (our splurge) and horse-drawn carriages to watch gallop by. There are two parking garages on each side and parking on the street with coin meters. The Capitol of Sacramento sits on amazing grounds that you can take a walk in, see three different California memorials, run into one of the many weddings held in the gorgeous rose garden, maybe rub elbows with the governor and have a picnic lunch. Parallel park anywhere along the grounds and start your exploration. You don’t have the feed the meter on Sundays! Each Sunday under the freeways on 8th and W Street downtown you will find the largest farmer’s market in the city. I always come home with honey, strawberries, yummy veggies and fresh flowers. We bring along our 2 year old and do a little shopping, make a quick stop at the new coffee shop on 1901 8th street, and then we head over to the park for an hour or so while Zoey plays on the enormous play structure. There are places for kids of all ages and there is a reason it’s known as the “rocketship park” with it’s large statue and play places that look almost space-like. If you want to get out of downtown and over to a great family-friendly farmers market, head to Davis for theirs on Thursday nights. The Sacramento art scene is hoppin each second Saturday, all year round. Art galleries stay open late, there are street vendors where 20th street between J and K is closed off. That’s where we park on the street and start off for all our window shopping and live music. Then travel down a couple of the streets close by and you will run into several galleries. My two favorites are Atelier and Tim Collom Gallery. Best of all, it’s totally free and some galleries offer you a glass of wine! In keeping with the art theme, we love going to the Crocker! It’s also free on that Sacramento Free Museum Day we talked about. We went so much we became members and it paid for itself and then some. They have rotating art exhibits, a great collection and lots of classes for adults and kids. They even have outdoor music in the Summer. Check out their calendar. About 20 minutes outside of Sacramento is a great new place to take the kids. Best of all, you don’t have to spend a dime if you don’t want to. We usually meet at the Whole Foods there for a late breakfast, let the kids play on the play structure outside (they use recycled rubber tire pieces instead of bark! ), then they run around in the water fountain area and watch the big fountain move to the music. There is also a pet store that the kids like to go in and check out the kitties. Bring an extra set of clothes and a towel during the summer because the kids love to get wet in those pop up fountains! Thanks for letting me stop by and share my town with you! I have a full list of Sacramento Summer outings and free printables for fun Summer activities here, enjoy! This is such a great list! 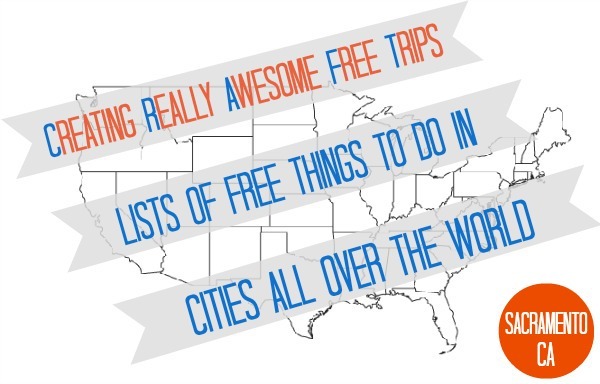 We love every place on this list too! Looking forward to checking these out! Great list! These are great places!! We LOVE love the fountains in Roseville. One day I’m going to bring home a kitty from the pet store! Great list! Can’t wait to take my little man to all these places!